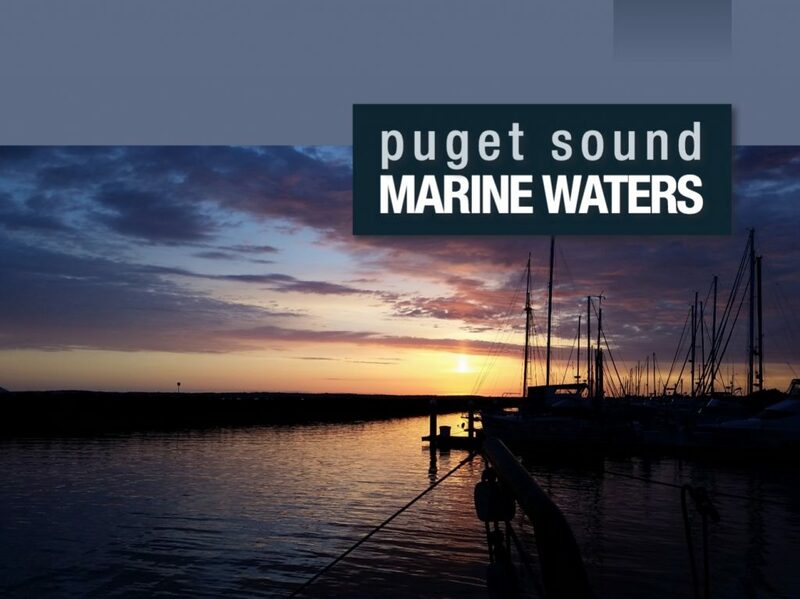 The year 2016 may be regarded as a transition year for Puget Sound, coming between the extreme warm-water conditions of 2014 and 2015 and the more normal conditions observed over the past year, according to the latest Puget Sound Marine Waters report. The report on the 2016 conditions was released this past week by the Marine Waters Workgroup, which oversees the Puget Sound Ecosystem Monitoring Program (PSEMP). The report includes data collected in 2016 and analyzed over the past year. Water temperatures were well above normal, though not as extreme as in 2015. A warm spring in 2016 caused rapid melting of mountain snowpack and lower streamflows in late spring and summer. Dissolved oxygen levels were lower than average in South Puget Sound, Central Puget Sound and Hood Canal, with the most intense oxygen problems in southern Hood Canal, although no fish kills were reported. It was a year for the growth of Vibrio parahaemolyticus, a bacteria responsible for 46 laboratory-confirmed illnesses, including intestinal upset, among people who ate oysters in Washington during 2016. Paralytic shellfish poisoning (PSP), diarrhetic shellfish poisoning (DSP) and domoic acid (DA) resulted in shellfish closures in 18 commercial and 38 recreational growing areas. But no illness were reported in 2016. DSP was detected at 250 micrograms per 100 grams in blue mussel tissues sampled from Budd Inlet near Olympia last year. That is the highest level of DSP ever detected in Washington state. Overall, zooplankton populations were high in 2016 compared to 2014, but generally not as high as in 2015. It was the worst year on record for the Cherry Point herring stock, which has been decline for years along with more recent declines in South and Central Puget Sound. Five local stocks had no spawn that could be found in 2016. Herring were smaller than average in size. The overall abundance and diversity of marine bird species in 2015-16 were similar to 2014-15. Rhinoceros auklets, however, were reported to have serious problems, which experts speculated could be related to a low abundance and size of herring. On Protection Island, breeding season started out normal, but fledgling success was only 49 percent, compared to 71 percent in 2015. Auklet parents were seen to feed their chicks fewer and smaller fish than usual. Including the Washington Coast, more than 1,000 carcasses of rhinocerous auklets were found by volunteers. The primary cause of death was identified as severe bacterial infections. If you are an average person concerned about environmental conditions in and around Puget Sound, the two-page summary and four-page highlights section near the beginning of the report will leave you better informed. To dig deeper, peruse the pages that follow. 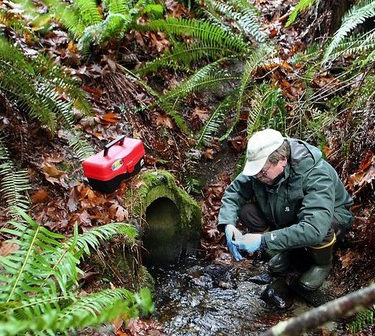 In the Puget Sound region, the front lines in the battle for clean water, healthy species and safe seafood include experts from Washington State University Extension and University of Washington Sea Grant. These are the folks who help property owners understand how their lives are intertwined with natural systems. These are the folks who lead armies of volunteers to monitor changes in the ecosystem and help the rest of us understand how we can improve the environment in our own way. These folks in the Extension and Sea Grant offices seem to have a special connection with average citizens, and they are some of my favorite people. I was pleased to see an article in Washington State Magazine about the role that WSU Extension offices play in the Puget Sound region. The article, by Rebecca Phillips, highlights the close relationship between Extension and Sea Grant, especially in Kitsap County. With artful writing, Becky juxtaposes the beauty of Puget Sound with the ongoing perils that have disrupted the ecosystem. She describes the efforts to turn things around and save this magnificent waterway that so many people call home. “From Puyallup to Bremerton, Port Townsend to Everett, WSU Extension and research centers are immersed in Puget Sound revitalization through a combination of investigation, stewardship and educational outreach programs,” Becky writes. She goes on to talk about the various programs — not the least of which is the Puyallup Research and Extension Center and the associated Washington Stormwater Center, which is doing great work to figure out how to remove pollution from toxic runoff coming from roads and developed areas. The cooperative extension system was established in 1914, linking the U.S. Department of Agriculture to land grant colleges, such as WSU. Traditionally, every county in the country had a local extension office, but in some areas county offices have been consolidated into regional centers. The National Sea Grant College Program, established by Congress in 1963, is a network of 33 Sea Grant colleges supported by the National Oceanic and Atmospheric Administration. The goal is to promote the conservation and responsible use of the nation’s waterways. I have covered most of the issues mentioned in Becky’s article, often in some depth, but her story touches on the essential elements of various restoration projects taking place throughout Puget Sound. It was nice to see such a comprehensive story involving the important problems of our time, with a special emphasis on the frontline folks addressing the issues. For some people, the article may serve as an introduction to the problems of Puget Sound. For others, it is a reminder of the local efforts taking place across the landscape. 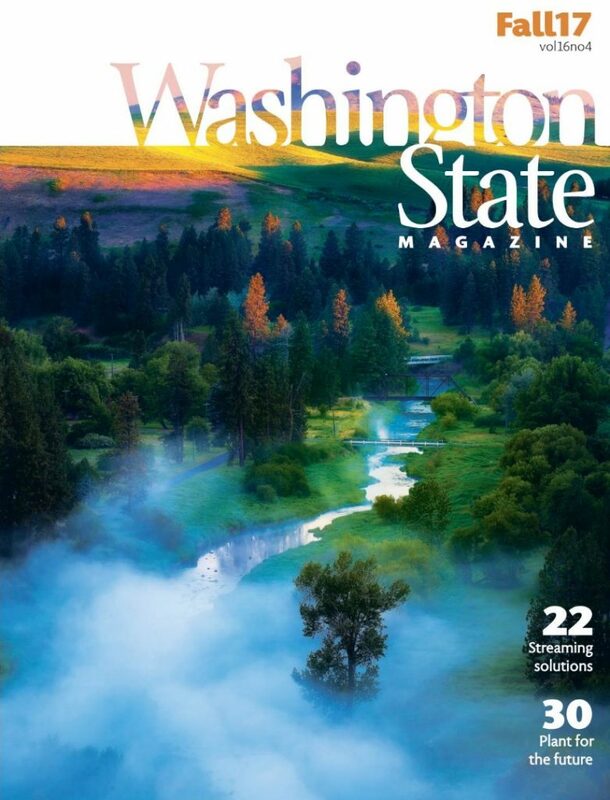 Washington State Magazine is a product of the WSU Communications Office. Full disclosure: I am a graduate of WSU and worked in that office one summer while I was a student at the university. While putting the final touches on a two-year, 10-part series about the Puget Sound ecosystem, I couldn’t help but wonder about the true character of Washington state and its citizens. How much do people really care about salmon and rockfish, eagles and herons, killer whales, cougars, and many lesser-known species in and around Puget Sound? Do we have a political system capable of supporting the needed efforts — financially and legally — to correct the problems? After interviewing hundreds of people over the past few years, I have a pretty good feeling about this state, especially when considering other parts of the country. There is hope that we can save some of the remaining gems of the Puget Sound ecosystem while restoring functioning conditions in other places. Puget Sound Partnership, which is overseeing the restoration efforts, still has the support of many people and organizations — including many conservatives and business-oriented folks. That support comes despite ongoing struggles by the partnership to find a proper place within the state’s political system. Review my latest story in the Kitsap Sun (subscription). “Let science lead the way” remains the refrain of both critics and supporters of the partnership. But that is easier said than done — even if you could take politics out of the equation. Scientists in almost any field of research don’t always agree on the fundamental problems, and there is a competition among scientific disciplines for limited research dollars. Are endangered fish more important than endangered birds or endangered whales, or should we be studying the plankton, sediments and eelgrass that form the base of the food web? When it comes to funding, the decision-making becomes widely disbursed, and I’m not sure whether that is good or bad. At the local level, we have Lead Entities and Local Integrating Organizations. At the state level, we have the Salmon Recovery Funding Board, the Recreation and Conservation Funding Board and agencies themselves. Then there is the Puget Sound Partnership, with its seven-member Leadership Council and 28-member Ecosystem Coordination Board, along with its science advisory panel. The partnership establishes an Action Agenda to guide funding decisions by the others. One would never want an individual man or woman deciding where the money should go. But do the various groups help identify important problems, or do they diffuse attention from what could be a focused strategy? I believe this will always be somewhat a philosophical question. One thing I confirmed in the final installment of the 10-part series “Taking the Pulse of Puget Sound” is that nobody was ever serious about a deadline established in the law creating the Puget Sound Partnership. Restoring Puget Sound by the year 2020 remains on the books as a goal that needs to be changed. If officials acknowledge that the goal cannot be met, will the Legislature and the public continue their support for the current level of funding or perhaps increase support? That gets back to my wondering about the true character of Washington state and its citizens. Based on past legislation, this state is clearly a leader in ecosystem protection. We have the Shoreline Management Act, the Growth Management Act (with its urban-concentration and critical-areas protections), Municipal Stormwater Permits, Forest Practices Act and more. Are we ready to go all the way, by setting interim goals for 2020 and looking to the long term? We will need to better track progress, which means gathering more data in the field — monitoring, if you will. Monitoring is not as inspiring as restoring an important estuary. But think of all the time and money spent on forecasting the weather, which relies entirely on monitoring with costly investments in satellites and equipment, all needing continual improvements. Envision a significant role for experts who can describe changes in the ecosystem and help us decide if our money is being well spent. If weather reporters can hold a central role on the evening news, why shouldn’t we have ecosystem reporters discussing environmental conditions. Puget Sound Partnership’s proposed budget, as submitted by the governor, contains more than $1 million for assessing Puget Sound recovery. That could be an important step to providing information about how the ecosystem is responding to the hundreds of millions of dollars spent on protection and restoration so far. In writing about the future for the final part of the “Pulse” series, I described a 2008 report from the University of Washington’s Urban Ecology Research Lab. The report identified the primary “drivers” of change that would determine the future of the Puget Sound region. It was interesting to learn that if we are lucky about climate change — or even if we’re not so lucky — the future is largely in our hands. How will we react to economic ups and downs? How will we address land use with millions of new people coming in? Will we embrace technology as the final solution or look to nature for answers? The report describes six remarkably different scenarios, though others could be constructed. Perhaps the worst one is called “Collapse,” in which warning signs of ecological problems are ignored and economic challenges are met by relaxing environmental regulations and allowing residential sprawl. In the end, the ecosystem cannot withstand the assault. Shellfish beds are forced to close, and hundreds of species — including salmon and orcas — disappear. Two scenarios hold more hopeful outcomes. One, called “Forward,” includes public investments to purchase sensitive areas, including shorelines. Growth becomes concentrated in cities, and people learn to fit into the ecosystem. The other, called “Adaptation,” includes grassroots efforts to save water and resources and improve people’s ecological behavior. Protecting shorelines, floodplains and wildlife corridors help reduce flooding and protect species that could have been wiped out. Check out “Scenarios offer glimpses of a possible future for Puget Sound,” Kitsap Sun (subscription). “As an environmental scientist, I find it interesting that things are starting to come together. We continue to grow economically, so we have the money. “Energy is lining up with the environment, and we’re forcing the restoration program to think holistically. It’s as much about transportation as it is about sewage-treatment plants. December 31, 2014 Climate change, Education, Land use, Planning, Research, Sea lifeConservation, Ecosystem, Environmental issues in Puget Sound, Joel Baker, Puget Sound, Puget Sound Partnership, University of Washington’s Urban Ecology Research Lab. I wonder if anyone has noticed that I’ve been away from this Water Ways blog for a time. Aside from visiting my youngest daughter in Yakima, where she had her first baby, I’ve been occupied with breaking news for the Kitsap Sun. There is no shortage of things to talk about, however, and I’d like to start with the recently approved two-year Science Work Plan for the Puget Sound Partnership. In developing a plan to investigate science-related questions, the Partnership’s Science Panel set out to identify weaknesses in our overall understanding of the Puget Sound ecosystem. The panel chose to be strategic about filling the gaps in our knowledge. “We want to know everything, of course,” chairman Joe Gaydos told me. “But just because there’s a gap in our knowledge does not mean we should go out and do a study. 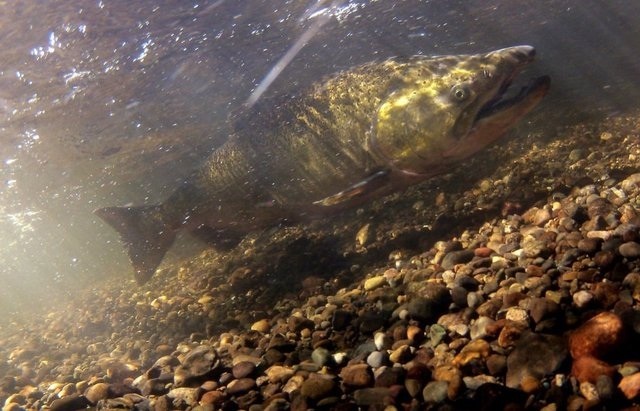 Before salmon managers begin to focus on harvest quotas and seasons for salmon fishing, they must work out predictions about the number of salmon coming back to each management area throughout the Northwest. Those are the numbers released this week during the annual kickoff meeting for the North of Falcon process held in Olympia. Check out my story in yesterday’s Kitsap Sun. So how do the managers go about predicting this year’s salmon runs? It gets pretty technical, but it is basically a combination of counting the number of salmon smolts that leave selected streams and then calculating a rate of survival to determine the number of adults that will come back. Numerous conditions affect whether eggs and fry will survive to smolt stage and make it out of a stream, just as many factors can cause the death of the young fish after they leave freshwater. I’m tempted to describe these factors here, but instead will defer to Mara Zimmerman, who heads the Wild Salmonid Production Evaluation Unit. Her well-written report on the “2011 Wild Coho Forecasts…” (PDF 376 kb) provides an excellent education into how coho are estimated. Check it out. I was one of three newspaper reporters who attended Tuesday’s meeting in Olympia. It was easy to tell the difference between my handling of this story and the approaches by Jeffrey P. Mayor, who writes for the Olympian and the News Tribune in South Puget Sound, and Allen Thomas, who writes for the Columbian in Vancouver (Clark County). The biggest difference is that those guys are sports or outdoor reporters, mainly interesting in telling their readers what fishing will be like this year. As an environmental reporter, my primary focus is to describe how the salmon are doing ecologically — although I do recognize that many readers of my stories are anglers who also want to know about fishing. Now this is a coincidence. When I wrote my recent progress report on the Puget Sound Partnership, my story included little more than brief quotes and snippits of information from a variety of informed people. That’s why I began this series called “The PSP Interviews.” I was preparing to write up this interview with Gerry O’Keefe this weekend when I learned that Gov. Chris Gregoire had named him as the permanent director of the Puget Sound Partnership on Friday. Gerry O’Keefe’s first impressions of the Puget Sound region came shortly after he began graduate school work at the University of Washington in 1984. “Some of my first memories are of riding the #44 bus across 45th Street and looking out the window and seeing the mountains,” he said. 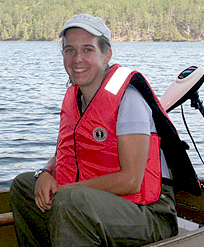 O’Keefe worked in the state budget office from 1989 to 1997 and then became engaged in budget issues at the Washington Department of Ecology. Before he left Ecology in 2008, he had tackled major water-resource discussions focused on the Columbia River. Coming up with an overall agreement on water resources required him to bring together diverse interests, including local government, business owners and tribes. In 2008, O’Keefe went to work for the Grant County Public Utility District, where he oversaw a $1-billion environmental program, largely an effort to mitigate for the effects of dams on salmon populations. “I like to be oriented around solutions and trying to help people get their money’s worth,” O’Keefe told me.